Irritable bowel syndrome, or IBS, is a difficult condition to treat, and long-term resolution is not guaranteed. A patient has to tolerate periods of relapse and discomfort, which can seriously affect quality of life. The benefits of manuka honey as a possible treatment, while proven to be effective in healing wounds and fighting bacteria, has not yet been studied in clinical trials. Results for similar conditions, however, are encouraging. There is no one specific clinical cause of IBS. The signs and symptoms of pain, diarrhea or constipation, and bloating appear to respond to dietary changes as demonstrated in clinical trials, and some medications appear to provide some relief. IBS can develop in reaction to a number of stressors such as depression, dysfunctional hormone tracking and bacterial infection and can be a debilitating and distressing condition for patients. Traditional clinical treatments have included medication, hypnotherapy, cognitive behavioral therapy or CBT, and antidepressants, and while quality of life has been shown to improve, the symptoms of IBS do not appear to be lessened or eradicated. Patients can relapse after periods of wellness, and although the condition can be managed, as yet it continues to be untreatable on a permanent basis. Manuka honey is made from manuka, or tea tree, indigenous to New Zealand. It is darker and more robust than other floral honeys, which might contribute to the signs and symptoms of IBS, and its antibacterial qualities can be measured on an industry standard scale known as the Unique Manuka Factor, or UMF, developed by a business partnership between TradeNZ and the Honey Institute at Waikato University. 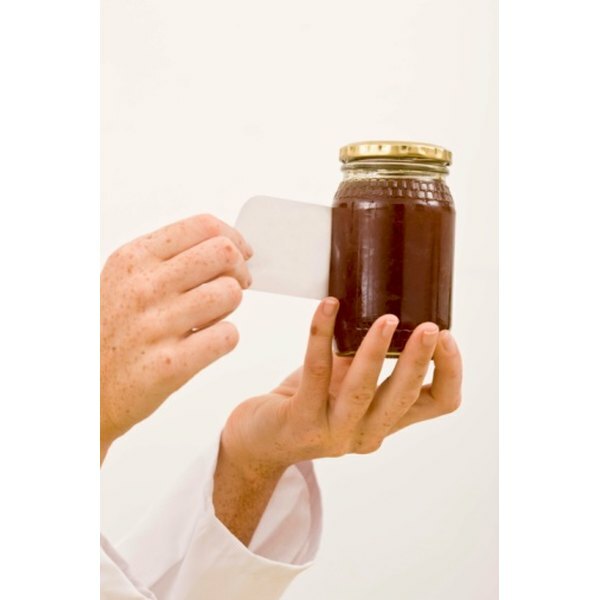 A level of 10 is the lowest at which it can be considered to be “active” in antibacterial terms, with the highest level currently at 16, and it is available as an irradiated form to be used as a medical-grade honey. Professor Peter Molan of the University of Waikato has conducted research on manuka honey for over 20 years, with initial trials showing a beneficial effect of manuka honey on some gastrointestinal conditions as well as being highly effective in the treatment of sores, ulcers and wounds. As of June 2011, according to Molan, no clinical trials have yet been carried out on the effectiveness of manuka honey on IBS. However, he is encouraged by the positive results so far on its anti-inflammatory properties as well as on induced ulcerative colitis in animals. What Herbs & Foods Are Probiotic? Can You Cure Acne With Fish Oil?